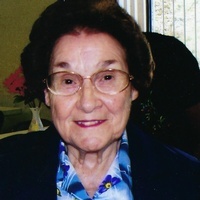 Carzell A. Sisson, age 92, of the Life Care Center of Ducktown, went to be with the Lord at 1:45 a.m., Saturday, May 12, 2018. Mrs. Sisson was born in Ducktown to the late Robert Lee and Glee Hill Burger. She was a homemaker and a loving wife, mother and grandmother. She had a love for fashion making shopping one of her favorite pastimes. She was a lifetime member of Bethlehem Baptist Church and enjoyed singing old hymns. She loved her Lord and dedicated her life to him. She was also preceded in death by husbands, Hubert Benton Arp and J.B. Sisson; siblings, Guy Burger, Winston Burger, Robert L. Burger, Jr., Parks Burger, Marjorie Gunter, Ruth Edwards, and Hazel Harris; and son-in-law, Dr. John R. Clark. She is survived by daughters and son-in-law, Brenda (James) Sluder of Blue Ridge, GA, Judith Arp Clark and her fiance David (McCartney) of Smith Mountain Lake, VA; sisters, Carolyn Prince Jenkins of Burgertown, TN, Gwendolyn Galloway of Montgomery, AL; grandchild Judith Robertson; Great-grandchildren, Kelly Thompson and Andrea Herrmann; Great-Great Grandchildren, Brent Thompson and Charlotte Thompson. Funeral services will be conducted Monday, May 14, 2018 at 2:00 PM from the Akins of Copperhill Chapel with Rev. Donald Padgett officiating. Music will be by James and Carolyn Jenkins, Pallbearers include James Simonds, Danny Arp, David McCartney, David Henry, Dawson Henry, and Steve Talley. Honorary pallbearers will be James Sluder, Leland Burger, Larry Arp, James Jenkins, Lynn Simonds, and Gary Simonds. Interment will follow in the Zion Hill Baptist Church cemetery. The family will receive friends at the funeral home Sunday evening from 6:00 PM until 8:00 PM. Condolences may be sent online to the family at www.akinsfuneralhome.com. Akins Funeral Home of Copperhill is in charge of the arrangements. « Previous Article Should Ralston be Re-Elected?